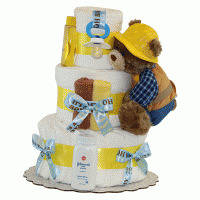 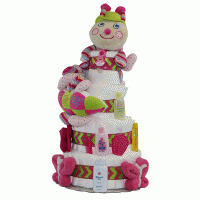 When it comes to baby shower gifts, no gift creates more "buzz" from the crowd than our exciting Mommy to Bee™ gift set. 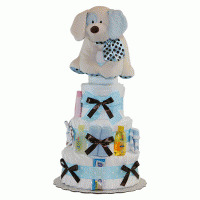 This ever so clever and unique gift has both the expectant new mother and baby covered beautifully. 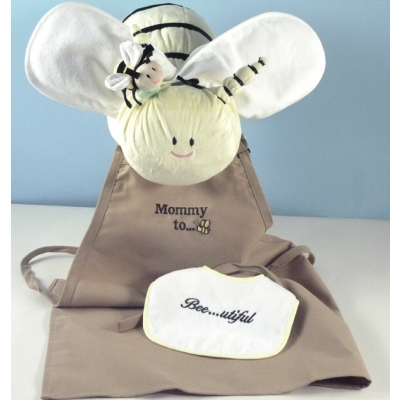 For mom, there is a lovely apron with the cutest Mommy to Bee™ embroidery, which she can proudly wear at the shower! 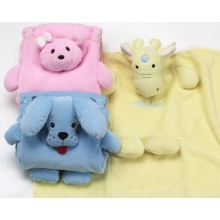 And for expected new arrival, there are a host of quality layette items including a soft & plush baby blanket. 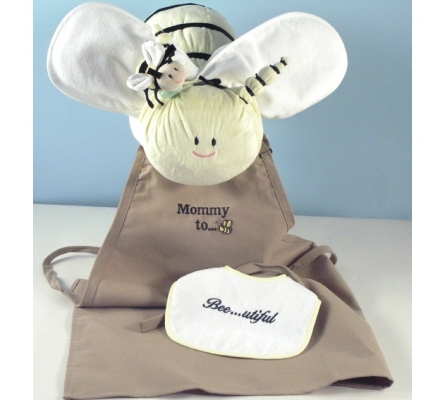 A matching "daddy to bee" apron is separately available.